...it looks like this. The housemates and I are holed up in a lovely farmhouse in Craigantlet for a long weekend. Jonee's housesitting, and the owners of this heavenly habitation let him bring friends and enjoy it while they're away. I'm enjoying four days of this gorgeous house nestled in green hills, spent almost entirely in my pajamas reading books, cooking and watching movies. I've taken an afternoon nap in the middle of a torrential downpour worthy of a Jane Austen novel, watched Coppola's Dracula with housemates while cuddling with the amazing dog Casey, came downstairs to fresh pancakes for breakfast, worked on a new painting, baked and eaten tons of monster cookies and more. It's heaven. -Going to Dorothy's for dinner and seeing the whimsical painting she has up in her lounge. There's something about the colors and style that reminds me very much of the pictures in a nursery rhyme book I had as a child, and so I found it comforting and imaginative. -Mark, Dorothy's hilarious 3-year-old grandson, proudly announcing in the middle of dinner that he was "going to go to a hotel with an elephant and make a mess!" This continued for several minutes to include a nearly complete zoo population: lions, bears, monkeys and giraffes were apparently coming as well. For some reason, with each new animal added he did a mischievous little eye roll and giggled loudly. -Waking up early to hear rain pelting the roof in soothing rhythms and turning over and drifting back to sleep. -A lovely walk through the park. -Going to the first ladies' Bible study of the autumn. I enjoyed sitting in a room full of wise and faithful women and listening to their ideas (and adding a few of my own) while drinking earl grey tea in delicate china cups and nibbling homemade scones. -Feeling really tired at the end of the day and getting a text from a friend that dance class was cancelled this week because of the half-term break. Yay, relaxation! -Oh, I forgot something I definitely wanted to blog about! Last night, for some reason, a local movie theatre here was showing Indiana Jones and The Last Crusade. I dragged along Andrea and Tilmann and we herded ourselves into a theatre packed with Indy nerds like myself. We all laughed in unison, my German friends translated some parts for me (there's a certain fight scene where a Nazi says "this American fights like a girl!" ha!) and we all applauded at the end. 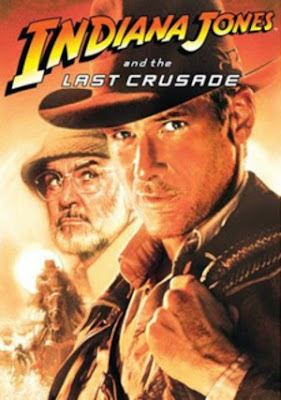 It took me back to my childhood watching Indy and his hilarious adventures. What a wonderful night. -Being inspired by a friend from high school to bake pumpkin cupcakes with cream cheese icing. I'm craving all things autumnal right now (can't you tell?? ), and these are delicious! Sadly, there's no pumkin pie filling to be found anywhere on this wee island, so I had to go old-school, and chop one up, roast it, scoop out the yumminess and blend it all up into a puree. A fair bit of work, but completely worth it. They were so yummy that I just devoured two before going to church last night in place of dinner. Not the healthiest option at all, but there's nothing wrong with a little indulgence every now and then. I'm willing myself not to eat some more for breakfast...pumkin's a vegetable, right?? Ha! -Receiving the last ever Gourmet magazine in the mail from my mom. Sadly, they're being shut down due to lack of funds and so this Thanksgiving one is their last print. It was really thoughful to have it sent to me. I'm going to try and do some of the recipes justice. -Waking up to birds singing and chattering on the roof. -Going to St. George's with Heather after a way-too-early meeting (8:15am! On a Saturday!) and having a really good catch-up and seeing everything through her daughter Eva's energetic eyes. The main event: a big foot-shaped lolly pop called "smelly feet" that she kept pretending was icky smelling as she laughed and devoured it anyway. -My first time to use my Very Own Linenhall Library Card. I think I did well with an (surprise, surprise) old Jamie Oliver cookbook, light-hearted novel and deeper novel. I'm looking foward to many happy returns (and check-outs...). -Combatting the gusty, rainy, cold weather with a hefty beef stew made with rich red wine, earthy onions and carrots from the market, sweet and new potatoes and herbs. I think I won. Take that, terrible weather! -Going to see my housemate Jonee in a play he's in on its opening night. His role was 'first man,' and so we made a silly sign saying "we heart 'first man' " which he was amused by. The play was really very good (it's called "Black Milk" and is showing at the Brian Friel Theatre in the QFT until Halloween...I highly recommend it for you Belfast folks). -Meeting a teenager from the church for coffee, someone I don't know as well as I'd like, and really enjoying her individuality, humo(u)r and energy. -Getting my Linenhall Library card in the mail and feeling so excited about being a member. The Linenhall library is the oldest library in Belfast, dating back to (!) 1788. I've been there before when Lori let me use her membership card for the bit of time remaining on it, and decided that a place so magical and Belfastic was really worth my time and membership fee. -Standing under a tree in the park just for a moment to stop and listen to the rustling leaves. I know in scripture it talks about the voice of God being like many rushing waters, but I think it might just be rustling leaves. -Saying hello to Frank as I passed his mechanic's shop. Me: "Smells like you're painting today, Frank!" Him: "Yep, just trying to get it done so it'll dry overnight." Him: "I don't know about that--ha!" -Walking at sunset and enjoying the beauty of this lovely city, set aglow with golden light and pink-hued clouds. -Dancing for the re-opening of the city hall (after refurbishments) and enjoying the energy and positivity of the day. From parading down the street with well-wishers shouting "Hey! Whitney!" along the way, to two girls I teach Religious Education to spotting me and saying "Hi!" and then "What's Whitney doing here?? ", to watching amazing acrobats float down the city hall with butterfly wings reflecting a new life in Belfast, to having a conversation afterwards with two fellow dancers who are disenchanted with the Church and sharing why I'm so passionate about being a part of it so the exclusive or antagonistic voices aren't the only ones being heard, to being told I'm "a breath of fresh air"...it was a brilliant day! -Meeting Sandra for coffee in bohemian chic Avoca and being greeted with a lovely autumnal (love that word!) bouquet of flowers. They're from her allotment (her patch of land to grow things on) and so they smell soooo good. I've decided that Autumn is my favorite season, with golden leaves floating down, a not-too-cold, not-too-hot feel to the air and clothes in warm, rich earthy tones. -An energizing Religious Education lesson with kiddos at the primary school. I asked what they learned last in RE, and one girl who has a bit of trouble staying focused (putting it nicely) said "Oh, we learned about The Most Amazing Game With The Most Amazing Name!" because I had used a game that I created and hadn't really named. I laughed that this was what she remembered. -Meeting a group of clergywomen to share experiences, pray for and encourage each other. It was empowering to be in a room with them all, each in different stages of their ministry and training, and feel that we shared a common calling that bound us together. -Making pumpkin pie to take to dinner at Andrea and Tilmann's. There's something so cozy, comforting and homeish about pumpkin pie, and I figure that since there's no Thanksgiving here, I can have it any old time I like! -A little boy on the bus who shouted ,"BYE! BYEEEEEE!" to everyone as he was strolled off, until we all said "bye!" back. So that's what it takes to get people to actually talk on the bus...an enthusiastic child. -Walking through my favorite little back street in the city centre and listening to guitars of buskers and church bells at the same time, creating a folk-hymn that was just perfect. -Talking to Ash, Clay, Cory, Nat and Gianna on skype using my webcam for the first time. Being able to make silly faces to my sister and to dance with Natalie was so amazing! -The energy and enthusiasm of teenagers (even if they're pretending to be bored and indifferent, it still comes through). -While crossing the street, a man commented on my brown velvet coat, saying he really liked it and that it matched my glasses. I explained that it was over 30 years old and was my mom's. We had a great little chat about timeless things, and although he tried to evangelize me a wee bit (and conveniently did not at all hear me say I was a minister), I found it a perfectly pleasant experience. -I love cooking based on what looks good. At St. George's with Andrea this morning*, I came across two intriguing things: tall, slender, leafy fronds of celery and rich, oak-smoked garlic. Remembering that I had a bottle of Chianti that was needing to be drank or used soon (and being not terribly keen on chugging half a bottle of wine), I decided to make a variation of coq au vin with a touch of smoked garlic and lots of celery and rosemary roasted potatoes with a bit of the smoked garlic there too. Oh, it was so good. I'm sorry there aren't any pictures to show for it, but it was so tasty I just wasn't patient enough to take any. -Meaningful impromptu conversations: one on a lovely autumn afternoon with sunlight streaming through golden trees, and another, in the kitchen after a long day whilst washing dishes. -Dusting off (literally...sigh) old seminary books and reading some wonderfully articulate, soul-stirring and empowering ideas about creation, eschatology and incarnation. The best was speaking about the scandalous presence of God in the world, stirring transformation, calling for justice and compelling followers to "feed my sheep", not out of obligation, fear or guilt, but out of love. -Collapsing on my couch after dance class, watching t.v. and then realizing that I actually did not particularly want to watch t.v., but was just passively doing so. With a bit of effort, I peeled myself off the couch and triumphantly turned off the t.v., deciding to rejoin the world of actual reality. what's orange and black and striped all over? -Waking up early just so I could finish my book and drink coffee. I finished Julia Child's My Life in Paris. It was so lively, poignant and inspiring. I'm in need of a good book to read now...you lovely blog readers did a great job recommending one last time (the Thirteenth Tale was amazing!). Wanna give it another go? -Walking in to work today, I looked up to see a lorry (truck) with little Tigger stuffed animals lining the windshield. Thinking that it couldn't get any more bizarre, I glanced over as I walked past it to see a LIFE-SIZED Tigger in the passenger seat with a seatbelt on. I laughed out loud. -Golden leaves on the ground announcing autumn. -A lively conversation with some teachers and the principal at Botanic Primary School, where I felt that somehow that I'd crossed that invisible line between "outsider" and "insider." -A bench adorned with "Love" in spray paint. I'm always looking for positive graffitti. -Bright red new tennis shoes ("trainers" as they're called here). They are so ridiculously comfortable that I find myself practically bouncing down the street. I feel like a kid with new shoes to play in, and have the sudden urge to skip and frolic my way to the nearest playground. -A lovely, leisurely lunch at the Mullins. It was the meal that kept on giving...at the evening service, they brought me a little bag of dark chocolates because they knew I loved them. Wonderful folks. -Walking into a room and hearing, "Whitters!" -Chatting to our guest speaker at Evolve, an expert in Hebrew Bible studies. After swapping names of a few of our favorite Old Testament theologians, he gave me his card saying to contact him if I wanted his suggestions on new material to read or to discuss ideas further. I saw it as a gesture of mutuality and respect, and was touched. -Cheering on kiddos as they climbed up walls and did other high ropes-y activities in the cold, and having them cheer me on when it was my turn..."W-H-I-T-N-E-Y! Goooo, Whitney!" It was such great fun. -Buying an adorable little pumpkin at St. George's Market to put on our windowsill as decoration for autumn/Halloween time. -A breakfast gathering (at St. George's, of course) that turned into lunch, catching up and theological conversation and dinner and a movie at my place with Andrea and Tillman. Sometimes the best plans aren't planned ahead.